Thousands of kids across the United States and world do not have the privilege of playing sports due to the high costs of equipment. Children in need often wish that they could go outside on a nice day and have a baseball catch with a friend, or kick around a soccer ball. Well, Game Changers New York’s initiative is to give every child that opportunity. Game Changers New York is a 501(c)(3) nonprofit organization. Our mission is to empower disadvantaged youth around the world by providing them the opportunity to become athletes. To achieve this goal, we donate collected sports equipment to children in need locally and globally. To date, Game Changers has donated over 6,500 pieces of equipment, worth over $100,000 to over 21 partner organizations in four countries. Our 65+ volunteers have helped with the growth of the organization, and their collective efforts have impacted the lives of thousands of children worldwide. GCNY utilizes a multi-step process to achieve its goals. The process is set in motion with collections of donated sports equipment. Donations stream in from collection bins placed at sports facilities, schools, synagogues, and community centers all over Long Island, as well as from those who have committed their community service projects to GCNY. The next step in our process is to inventory and organize equipment, which we do with the help of our 65+ volunteers. We then identify an organization that meets the criteria of a GCNY recipient organization and needs the donation of sports equipment. Once an organization is identified, the equipment is packaged, and either shipped, picked up from our warehouse or hand delivered. Lastly, GCNY hosts local fundraisers in order to finance our shipping expenses. Since the start of GCNY, this process has become increasingly streamlined, our distribution rate quadrupling since our founding. This impact of our donated sports equipment is everlasting; the children learn to become a part of their larger community through their sports team. 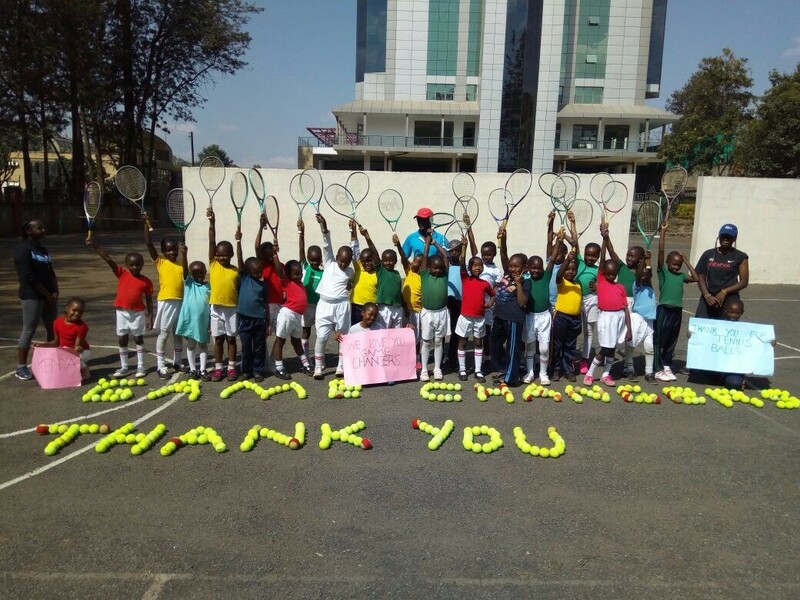 Joe Karanja from The Nairobi Tennis Academy in Kenya, one of our partner organizations, said, “with 100 orphans in this program, tennis has changed their lives. Tennis keeps them away from drugs, and allows them to focus on academic work. By excelling in school, the children are able to get tennis scholarships.” The skills that are learned through sports promote discipline and responsibility. Having access to the equipment is just the first step in this journey of success.